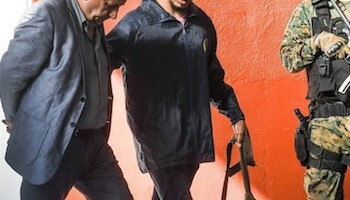 A new round of arrests and charges in an unfolding racketeering case in Argentina involving a criminalized soccer fan club, or “barra brava,” points to these groups’ growing sophistication and capacity for violence. On November 30, Argentine authorities announced that they had conducted more than 30 raids on various properties connected to the barra brava of the Club Atlético Independiente, one of the top-ranked teams in Argentina’s premier soccer league. Argentina’s barras bravas have long been associated with smaller-scale criminal activities like extortion and drug dealing. But they have grown more powerful over the years thanks to protection from powerful teams that often have ties to potent political forces. The Argentine government had taken steps to clamp down on such groups, including creating a government registry in early 2016 to attempt to track them. While these initiatives have achieved some results, they have also revealed the barras’ depth and sophistication, which will make these groups difficult to dismantle.